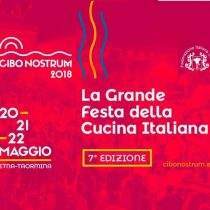 Taormina Cibo Nostrum. The great party of Italian Cuisine, an event, two places and three days to enjoy all the best of the national agri-food and wine production. An exquisite culinary experience this year reached its 7th edition and signed by the Italian Federation of Chefs, in collaboration with Charming Italian Chef, Conpait.